This is one of those 30 second DIY Projects. 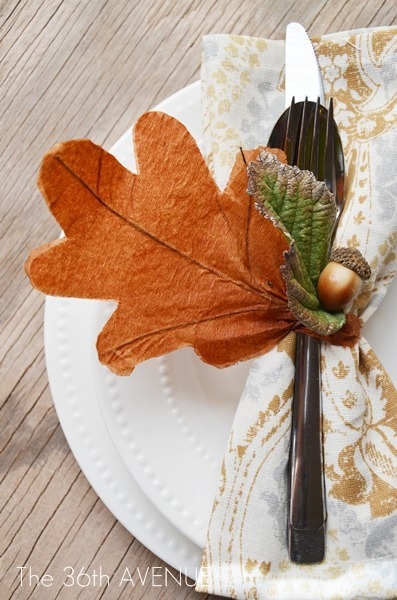 Wait it gets better… A 30 second DIY Project for just a dollar. 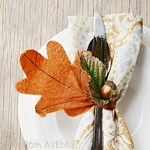 I am talking about 10 napkin rings for one dollar! I started with a package of these paper wired leaves from the Dollar Store. 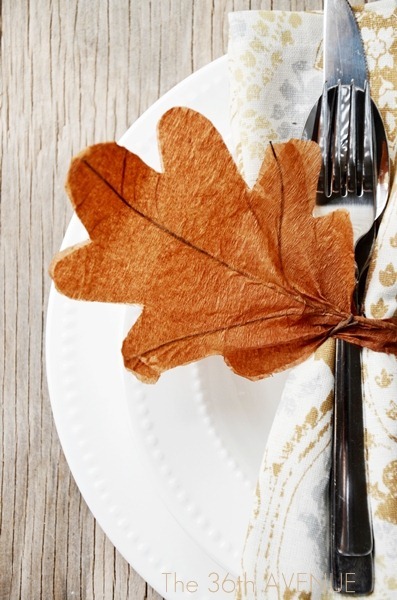 Each package comes with 10 leaves… They are so pretty! 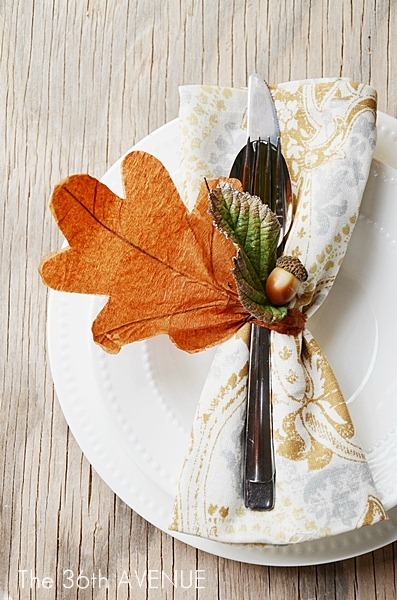 All you need to do is grab one and wrap the wire around the folded napkin. Twist it until it looks perfect! 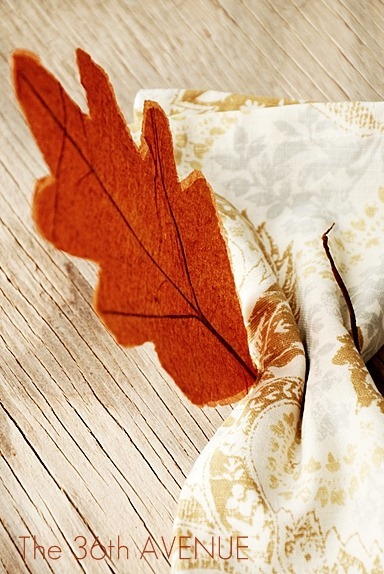 If you like to add some Fall drama go outside and pick up some leaves and whatever else you like out there. 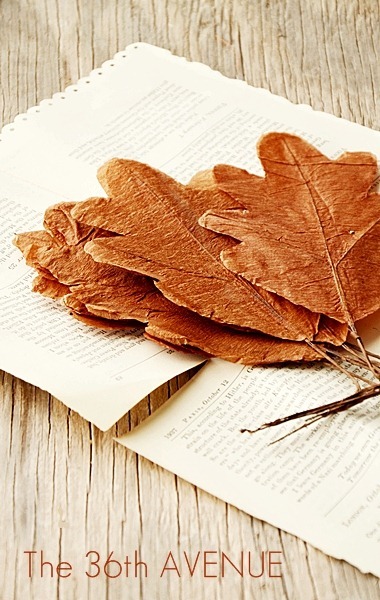 I thought another cute option would be to add a small leaf made from the page of a book. 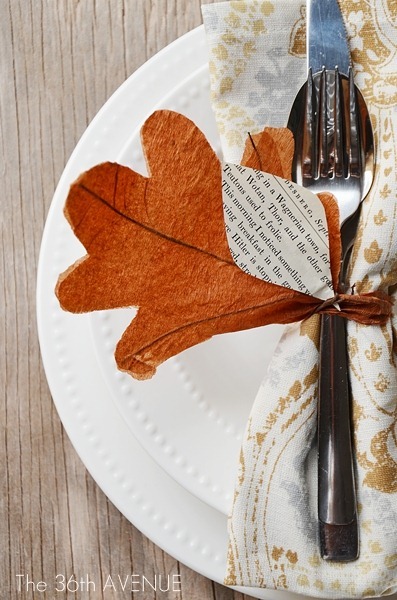 You can even do this with any other paper and write the names of your guests on it. Then you have a napkin ring and a name card at the same time. Such a simple sweet little thing! The important thing is to make it your own! Not bad for 10 cents a piece! 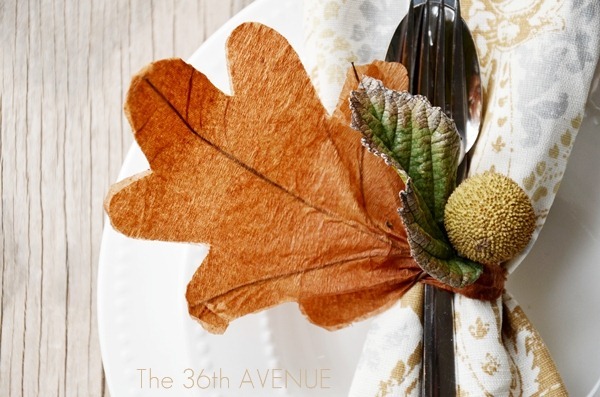 For more Fall Table Décor Ideas make sure to check our Thanksgiving Table here. 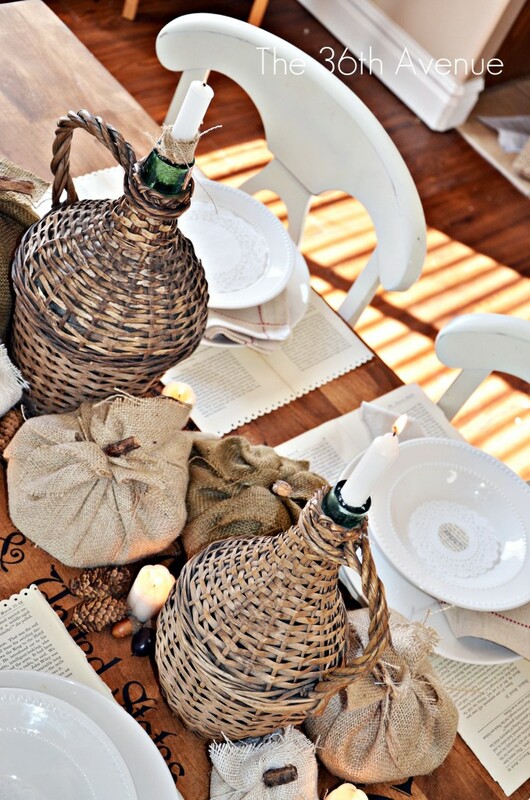 There are a lot of fun affordable ideas in there to make your table simply gorgeous! 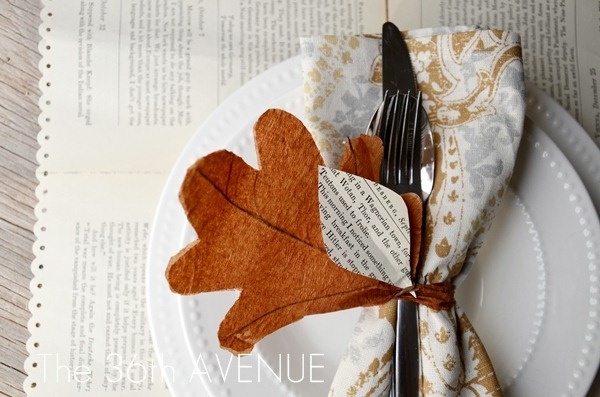 Like making your own No Sew Burlap Pumpkins, Book Pages Plate Mats, or Doily Name Cards! 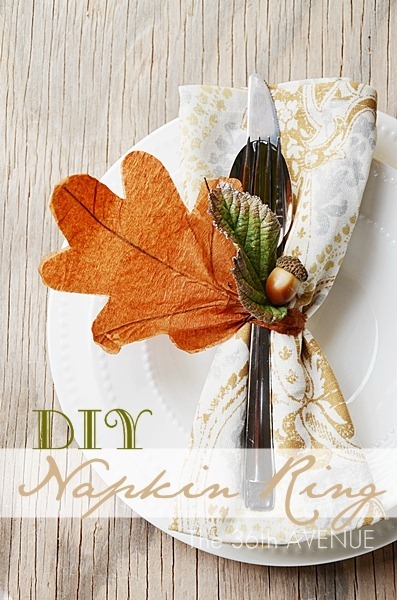 A 30 second and 10 cent DIY Napkin Ring! It is your turn… it is time to link up, click HERE to visit the PARTY!